At Wednesday's land use meeting, the Dilworth Community Development Association will hear a revised plan for building a Walgreen's with a drive-thru and an office building at the corner of Morehead Street and Kenilworth Avenue. The current plan calls for tearing down five buildings, including a Tudor-style, 18-unit apartment building originally constructed in 1927. The distinctive building sits at the corner of Morehead and Kenilworth. Four other adjoining houses would also be slated for demolition. The rezoning request is expected to have a public hearing in September and go before City Council in October. The developer is Lincoln Harris, and the owner of all the properties is Edward Springs and his company, Edward H. Springs Interiors. Neighbors have raised concerns about excessive traffic, especially with a drive-thru at an already busy corner. Using the property to build a pharmacy and office building by tearing down older homes with more neighborhood character has also raised eyebrows. The land use meeting will be held Wednesday, June 27, at 7 p.m., in the Tom Sykes Recreation Center at 1501 Euclid Avenue. Here's an interesting retail-related story from Reuters: Wal-Mart, the world's largest retailer, is trying to make its image more environmentally friendly by changing the way farmers who supply it grow their wheat. Wal-Mart has been trying to reduce its carbon footprint and improve the way its perceived lately, with a pledge to reduce carbon emissions from its supply chain by 20 million tonnes by 2015. The wheat effort will hopefully lower the amount of energy and fertilizer to produce wheat, which Wal-Mart buys and uses for its Great Value brand products. Executives have been starting at the beginning, with visits to wheat fields. From the Reuters story: "We don't have a lot of visibility in the supply chain, so we started in the field," says Robert Kaplan, a sustainability manager at the Bentonville, Arkansas-based firm. "I hadn't seen a wheat field before and I wanted to find out how we go from a green crop in the fields to flour on our shelves."" The company is likely to promote satellite-guided, precision farming and "no-till" methods that avoid plowing the soil, to reduce erosion. Wal-Mart also floated the idea of transporting manure from chicken farms in the South to wheat farmers in other parts of the country. Whichever course of action Wal-Mart takes, its likely to have a ripple effect on farming, simply because of the retailer's sheer size. A new Aldi grocery store is set to open July 12, in Indian Trail, the retailer's 17th store in the area. There is a ribbon-cutting and open house (with samples!) Wednesday, July 11, from 10:30 a.m. to 4 p.m. at the store. But the store doesn't officially open for business until 9 a.m. the following day. Aldi (which is owned by the same company that owns Trader Joe's) has made its name as a low-price, no-frills grocery store. Aldi, like Trader Joe's, has fewer items than a full-size supermarket in stock, but focuses on the most popular, quickest-selling goods. The chain uses such touches as making people pay a quarter to unlock a shopping carts so that they have to bring the cart back and lock the cart in to get their quarter back (saving the store from assign someone to chase carts in the parking lot). According to the research firm Chain Store Guide, which tracks store sales, last year Aldi had about 2 percent of the Charlotte region's grocery market. That makes it the region's No. 9 grocery retailer, ranked by market share. Two new restaurants are opening soon, coincidentally both with Red in their name. In Matthews, a new Red Lobster is opening Monday, June 25. The 5,900 square foot restaurant is at 9801 Independence Pointe Parkway, and will have seating for 212 people. Red Lobster is operated by restaurant company Darden, which also owns and operates chains such as Longhorn Steakhouse, The Capital Grill and Olive Garden. In total, about 180,000 people work for Darden, which operates about 1,900 restaurants. In Dilworth, JJ's Red Hots is coming to East Boulevard on July 4. The new hot dog spot will open at 2 p.m., with Nation Ford High School's drum line performing, and a soloist performing The Star-Spangled Banner. In addition to the building's rooftop deck, the new owners have also added a takeout menu. And if that's not enough to get you out, there will also be the chance to win free hot dogs for a year. There might still be no H&M in Charlotte (despite stores in Winston-Salem and Raleigh), but that might not matter as much soon: The retailer plans to start offering online shopping here soon. You might have heard about this before, but H&M reaffirmed its plans Wednesday in its earnings release. CEO Karl-Johan Persson said in his statement that, "Online sales will be launched in the autumn in the U.S., the world’s largest online market." Robust sales in the U.S. and Asia helped power H&M to a strong quarter, with $750 million worth of profits. Worldwide, H&M is one of the biggest apparel retailers, with 2,575 stores. Locally, the Facebook group "Bring H&M to Charlotte" is still gathering new posts. Now that Charlotte is about to get its first Whole Foods, anything is possible. H&M is also opening its first stores in Estonia and Indonesia next year, so if you find yourself in that neck of the woods, you can catch the grand openings and bring some clothes back to Charlotte. There's another Massage Envy Spa coming to the Charlotte area, as the relaxation salon plans to open a Matthews location this week. It will be the spa's 14th location in or around Charlotte. The 3,300 square foot store will be in the Sycamore Commons shopping center, on Matthews Township Parkway. “We are excited about our grand opening in Matthews and joining this great community,” said Gordon Thornton, owner of the franchise. The shop will open on June 22. The business will offer a full range of services, including massages (from prenatal to geriatric ones), facials, aromatherapy and more. And in supermarket news, if you've been following the Lowes Foods-Harris Teeter store swap, you might be wondering how much that transaction was driven by Harris Teeter's desire to protect its home market in Charlotte from an incursion by Florida-based Publix. One analyst is saying that was likely a big driver of the deal. “In addition to bolstering its market share around Charlotte, this move also blocks Publix, which plans to open two units in northern South Carolina near Charlotte, from entering Charlotte via a strategic deal, at least in the near term,” said Andrew Wolf, of BB&T Capital Markets. Here's an email I got from a reader on Monday: "Any new information about when Whole Foods is opening? Anxiously waiting!" Another, earlier message: "Is it EVER going to open?" It's been more than a year since Whole Foods broke ground on its 42,000-square-foot store, near Fairview and Sharon roads. And considering that Charlotte has been tantalized with the prospect of a Whole Foods store of its own since 2004, when the upscale grocer planned to open a store in Elizabeth, readers seem to be getting antsy for the SouthPark-area store to open. (If you'd like a taste of some vintage Charlotte angst over Whole Foods' absence, here's a 2010 blog post by my predecessor, Jen Aronoff). Whole Foods spokeswoman Darrah Horgan told me she's also getting lots of inquiries about the opening date, which was originally planned to be this past spring. No firm date has been set, but Horgan said, "August is safe to say, at this point." So stay tuned. As soon as there's a date set for the grand opening, I'll post it here. Or, you can even follow me on Twitter and know even earlier. Bonus observation: There's a lot going on in the local grocery market this year. The arrival of two new major players, Whole Foods and Publix, Harris Teeter buying all of Lowes Foods' local stores, Harris Teeter upgrading many of its local stores to large, distinctive, flagship designs, Wal-Mart overtaking Harris Teeter as the No. 1 grocer in the Charlotte region (OK, that happened in 2011, but the data was released this year) - well, it all makes good blog fodder. The Metropolitan mixed-use complex just outside of uptown has a few new dining options, including Which Wich Superior Sandwiches and Cherry Berry, a self-serve frozen yogurt bar. A third new restaurant, Pizza Fusion, is set to open this summer. Each of the new restaurants is a franchise location. Which Wich is based in Dallas, with about 250 restaurants, and was founded in 2003. Cherry Berry hails from Broken Arrow, Oklahoma, and Pizza Fusion is based in Boca Raton, Florida. A new chain, Highway 55 Burgers, Shakes, & Fries, (formerly Andy's Burgers, Shakes & Fries) is set for a major push into western North Carolina, starting in Charlotte this fall. The 1950s diner-style restaurant company has agreed to franchise 75 restaurants in western North Carolina over the next decade. Plans call for 23 restaurants in Charlotte metro area, starting with one in the University Pointe shopping center. The University Pointe store is set to open in September. Terrell and Brett Rhye, father and son, are going to be building that and the other new locations. Terrell Rhye, of Mooresville, founded the real estate firm InterSouth. In February, the company changed its name to Highway 55 as it prepared to expand, after discovering another company already had the federal trademark on "Andy's." Highway 55 isn't the first local burger chain to have to change its name when it decided to expand: Bad Daddy's Burger Bar used to be Big Daddy's, but someone had already trademarked that name. A developer is seeking to build an office building and a Walgreens with a drive-thru at Morehead Street and Kenilworth Avenue. 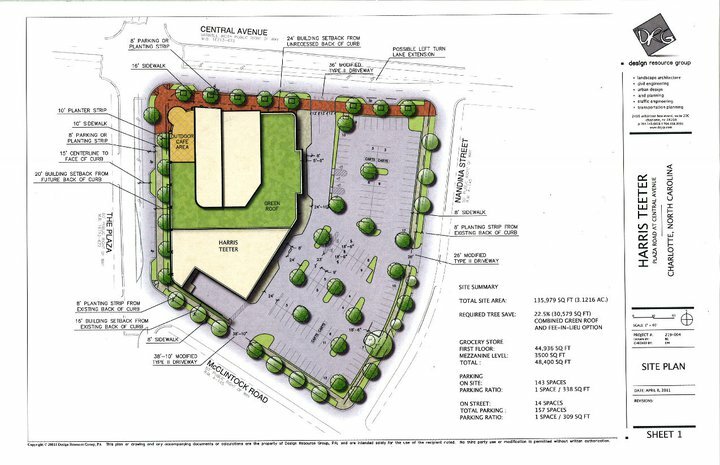 Here's a detailed proposal for the site plan from developer Lincoln Harris, originally posted by WSOC-TV. It shows building sketches and a layout for the proposed site, which would cover a significant portion of the street from Morehead down Kenilworth, across from Ascension Lutheran Church and Carolinas Medical Center. Some neighbors are concerned with the project. From the Dilworth Community Development Association: "They plan to tear down the existing homes and build a Walgreens drug store with a drive-thru and a small office building. Major concerns include: 1) the use of the site as a pharmacy, 2) the precedent of having a drive-thru window on Morehead St., and 3) the traffic impact if left-hand turns are allowed in and out of the site." The buildings torn down would include the Tudor-style apartment building on the corner, the adjacent white house, and three adjoining houses on Kenilworth. Those properties are all owned by Edward Springs and his company, Edward H. Springs Interiors, according to Mecklenburg County property records. Springs was not available to talk about the proposed development plan this week, according to his office. Lincoln Harris vice president Alex Kelly said the developer is meeting with community members to address their concerns. "We're working with the neighborhood," he said. "We're going to whatever extent it takes" to discuss and try to resolve issues, he said, but said he couldn't discuss the project's details. The proposed drug store and drive-thru would be 14,540 square feet, excluding loading and servicing areas, according to the site plan. The two-story office building would be 16,000 square feet. The 18-unit apartment building on the site was built in 1927, according to property records. The white house and Edward H. Springs Interiors office next door was built in 1940. The rezoning request will have a public hearing in September and go before the city council in October. The apartment building. Picture from Mecklenburg County property records. A new Compare Foods supermarket will open in west Charlotte this fall, bringing a new grocer to Freedom Drive. The New York-based independent chain recently closed its store on Independence Boulevard, which was torn down to facilitate the slow-moving project to widen the road into an expressway. The Freedom Drive store, in the shopping center anchored by a Super K-Mart, will be the grocer's fifth location in Charlotte. "That's an area we've been looking at probably for about 2 1/2 or 3 years," said Compare general manager Omar Jorge. "Freedom Drive is a main thoroughfare, it's got a lot of traffic, it seems to be an area that's revitalizing itself." Compare will be going up against other off-price food retailers nearby, including Save-A-Lot, Aldi and Family Dollar. "We can compete with the stores that are already there," said Jorge. The new Compare will be 22,500 square feet. Jorge said they are hoping to open the store this fall, but are still waiting for permits to continue renovating the building. A recent survey of shoppers from online retail site PriceGrabber shows that about 57 percent of people are planning to spend less than $100 on Father's Day this year. Out of almost 4,500 consumers, 21 percent also planned to spend $100 to $249, and another 11 percent planned to spend more than $250 (lucky dads). The remainder of respondents didn't have a set amount they were willing to spend. The most popular gift categories were practical gifts, with 41 percent of respondents saying they planned to get Dad something like a tool, auto accessory or appliance. Another 23 percent were planning to buy Dad hobby goods (such as golf equipment), 21 percent said entertainment goods (music, video games, etc.) 21 percent said clothing or accessories, 18 percent said tech gifts (smartphone, tablet) and 15 percent said outdoor items (such as a grill). The numbers add up to more than 100 percent because some people selected more than one gift. But if you're still stumped for what to buy Dad for Father's Day, you can always turn to Groupon, which is running a notably odd campaign to promote its deals. As you can see at the top of the page, the picture shows a pregnant man with his wife and, presumably, young son excitedly feeling his huge belly. "Deals to celebrate the man who carried you around for nine months," the text reads. "Celebrate the man who gave birth to you," read a previous Groupon ad. "He felt you grow and kick inside of him for nine months - thank him with deals on Father's Day gifts." It's hard to tell who exactly Groupon is marketing to with these banners (die-hard fans of the Arnold Schwarzenegger hit film Junior? ), but at least they're definitely memorable. More than 20 unique vendors will be opening for a day on Saturday, June 23, for a Vintage Charlotte pop-up market. The market will be held at the Annex, at 3128 The Plaza, which is operated by Amelie's. Doors open at 10 a.m., but if you want to get in early and get your pick of the best stuff, you can pay a $5 early-bird fee and enter at 9:30 a.m. Vendors will be selling vintage goods and antiques such as housewares, furniture, clothes, jewelry and accessories. Vintage Charlotte is the product of founders Amy Herman and Kurtis Hessler, who also operate several Etsy shops. 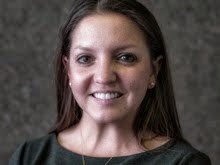 Herman said she's “excited to bring vintage and antique shopping into a young and contemporary light," and that she's hoping to "create a shopping experience that was fun, stress-free and community minded." Two new food chains are moving in to the Charlotte area: Marco's Pizza, in Indian Land, and How Do You Roll, a sushi restaurant in uptown's Overstreet Mall. Marco's is opening Monday, June 11. The restaurant is one of more than 280 Marco's Pizza locations in the U.S., and the first in the Charlotte market. It will be located at 10092 Charlotte Highway, in Indian Land. The restaurant is owned by franchisees Mike Hunter, his son Andy Hunter, and Kerry Nohle. They have 15 more Marco's locations under contract in the Charlotte region, and have signed on to develop as many as 49 more over the coming years. To mark the opening, they're offering the first 50 customers on Monday a free large, two-topping pizza each month for a year. And uptown office denizens have a new option. How Do You Roll is a design-it-yourself sushi restaurant, owned by franchisee Joe Shurloch, which opened Thursday in Overstreet Mall. Here are some pictures on Charlotte Restaurant Traffic. Matthews-based Family Dollar plans to add Redbox movie rental kiosks to its stores, giving the kiosk company access to 7,200 potential new locations and giving Family Dollar another way to lure customers. “The Redbox kiosk is the definition of convenience for movie and game rentals and will provide value, convenience and additional reasons for customers to visit Family Dollar stores more often,” said Michael Bloom, Family Dollar's chief operating officer. DVDs cost $1.20 a night, games and Blu-ray discs $2 a night. Redbox is owned by Coinstar, the company whose machines convert unwanted coins to bills. Family Dollar has been broadening its assortment as it tries to reach more customers. The company recently reached a deal to start selling PepsiCo products, and also decided to add tobacco products to its stores, a move that it said was designed to bring in more customers and compete with other retailers. Gay it Forward, a coupon site similar to Groupon or LivingSocial, is launching in Charlotte, sending out deals for discounts at gay-owned and gay-friendly businesses. Co-founder Dan Mauney said the aim is to support businesses that support the LGBT community. "If you support our community, we'll support yours from a business standpoint," he said. "We've got your back if you've got ours." Mauney is one of the people behind Takeover Friday, a 10-year-old event that was designed to get the LGBT community into new social venues. Gay it Forward has an extensive list of contacts, both gay and gay-friendly people, Mauney said, from Takeover Friday that it will be able to use to promote the new business. "The Groupons of the world are great, but they don't always cater to our community, or who we want to do business with," said Mauney. On Gay it Forward, the business will work the same way as Groupon (consumers buy a certificate for a steeply discounted deal, then redeem it with the merchant). Mauney said businesses can use the site to promote their businesses to a very focused, loyal demographic.Gay it Forward will also be giving consumers the option of donating to gay-focused charities, including Time Out Youth, the Regional AIDS Interfaith Network and the LGBT Community Center. The first deal to be offered on the site is a coupon for The Wine Loft, at 2201 South Boulevard, Mauney said. He said Gay it Forward has commitments from multiple local businesses to offer deals on the site. With Charlotte as its launch pad, Mauney said he hopes to expand Gay it Forward to Raleigh, Atlanta, and nationwide. The launch of the site is especially significant in the wake of Amendment One's passage, which constitutionally defines marriage as between only a man and a woman in North Carolina. "It's unified our community," Mauney said. "I'm staying in North Carolina. I'm not going anywhere, and I choose to do business in North Carolina." Construction permits were issued last week for a new Wal-Mart Supercenter in Huntersville, part of a massive new development at N.C. 115 and Alexanderana Road. The Huntersville Board of Commissioners approved the Wal-Mart, in the 400-acre Bryton development, last year. The mixed-use development is near an interchange between I-485 and I-77, and across from the large new Hendrick Luxury Auto Mall. The permits, issued May 30, show the store will have 148,865 square feet of heated space. The construction contract cost is listed at about $14.5 million. The store will be Huntersville's first Wal-Mart. It's likely to be completed by May 2013. Starting Tuesday, the Plaza-Midwood Harris Teeter will be closed for a year, while the company demolishes and rebuilds the store at 1704 Central Avenue. The location has been a supermarket since W.T. Harris moved into it in 1938, and Harris Teeter said the current building needs to be expanded to offer a full range of goods. The new store will be a 2-story, 45,000-square-foot, art-deco location with a partial green roof and an outdoor mezzanine seating area. "The store will feature expanded chef prepared foods; a soup and salad bar; greater specialty cheese selection; a greater selection of wine; and an expanded produce, seafood and service meat. In addition, Harris Teeter will incorporate a variety of sustainable features in the new building including water conservation devices and a green roof. The company will also reclaim wood from the existing location and integrate it into components featured in the new store. 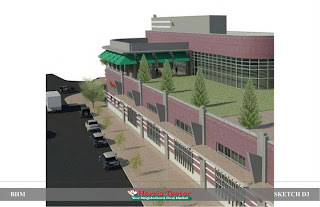 Harris Teeter also has plans to enhance the streetscape along both Central Avenue and Plaza Road. Along the street frontage on Central Avenue, Harris Teeter will construct new brick sidewalks, new trees in planters and on street parking. 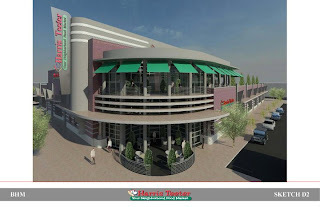 Along the Plaza Road frontage, the company will incorporate new plant strips and brick sidewalks, all consistent with the City’s long range vision for the Central Avenue corridor and Harris Teeter’s intention to build a pedestrian friendly location." The new store will open in late spring or early summer 2013. Associates at the current store will be offered the chance to transfer to other stores during construction, Harris Teeter said. The grocer said customers can shop at nearby stores, such as the uptown Harris Teeter or the East Boulevard location. Outdoor sporting goods retailer Sun & Ski Sports is opening its second Charlotte-area store, adding a Ballantyne location to its store in Concord Mills. The store, at the Promenade on Providence, will open June 15. The store will carry gear for skiing, snowboarding, bicycling, running, other water sports and more outdoor activities. The store's philosophy is "focus on a few things, and do them better than anyone else," said founder Barry Goldware, in a statement. Some of the staff from the Concord Mills store will move to the new location to make sure there are experienced workers ("counselors," as the retailer calls them), in place. They'll have services such as a bike technician, gait analysis for runners to help pick out shoes, and a certified boot fitter. The store has three hour-long clinics scheduled for its first week, on June 18, 19, and 20, at 7 p.m., covering topics such as road cycling, gait analysis and nutrition, and water sports. Sun & Ski sports is headquartered in Houston, and has 29 stores around the country.